* No assembly required,easy to fold and unfold within seconds. 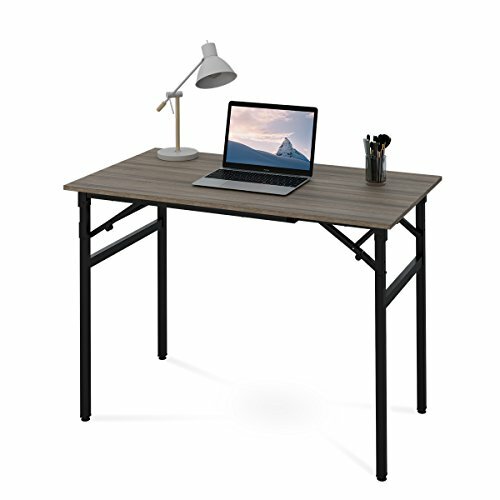 Simple folding table has spacious desktop for computer, monitor or printer etc. Adjustable foots can adjust 1-2 cm lengths, made the table keep stable even on uneven floor. Overall Dimension: 42.1"W x 23.6"D x 29.5"H, easy to store and move. No Assembly Required, can be opened and folded in a few seconds.